Homelessness in our area is an ever growing problem. Compound the drug issues that every city in our area is facing; then you have what seems like a mix that not only ends in hunger and despair but also sometimes it ends in death. With the resources of state and local governments overwhelmed and with the massive task that local emergency personnel now face with the opioid crisis, local groups have begun to be organized to assist in dealing with the underlying needs and issues of those faced with the difficulties of both homelessness and opioid addiction. That is where Blessings in Disguise has stepped in to not only help the homeless population but also to help deal with those that are on the streets because of an addiction that has consumed them and destroyed their lives. Mendi Scott, an organizer of Blessings in Disguise, hopes to assist those on the streets with necessities so they can focus on improving their situation, either through accessing local shelter assistance or even rehabilitation services to fight the fundamental cause of their plight. 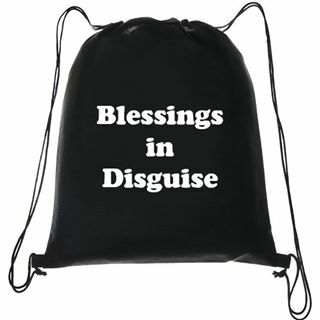 Blessings in Disguise provides backpacks full of food, toiletries and other essentials like hats and gloves, to those that are homeless in the Clarksburg area. Along with each bag of supplies comes information on local services that the recipient can gain access to. The impact that this effort has can be felt by the entire community. Her service to this vast issue for our area is why Mendi Scott was chosen as this month’s Celebrating Volunteer winner! As a member of the community she serves, Scott sees the daily turmoil the homeless population in our area face. She spends countless hours making sure Clarksburg’s “regulars” are accounted for. She also keeps in close contact with a network of neighbors to discover the next homeless person entering our area and what can be done to help them. Currently, Blessings in Disguise operates out of space near the Huffman Corporation in Bridgeport. They are now accepting food, toiletries, hats, gloves, scarfs and even blankets that are compact enough to fit into a drawstring backpack. If you are interested in learning more, you can visit their Facebook page.